Over the years, we've owned a number of GPS devices, the most recent one a TomTom unit we purchased about 4 years ago. It came with "Lifetime Maps and Traffic," which means we get new maps to install a few times a year (and the traffic feature is great for alerting us to potential bottlenecks up ahead, and usually at least one alternate route to avoid them). The other day, I was alerted that a new map was available, and proceeded to install it. Before doing so, however, I continued my practice of separately copying the "Favorites" file so that I wouldn't have to re-enter a bunch of addresses. In the event, something went very wrong with the install (this is the first time that's happened, by the way, in 4 years of use): the map became corrupted, rendering the device unusable. Over the next few days, I called tech support a number of times, and they could not have been more helpful, professional or courteous. They walked (and emailed) me through a number of trouble-shooting steps before determining that we had to format the device (Yikes!) and start with a clean slate. This took some time, of course, but in the end, I had a virtually new, clean unit, and because I had saved my Favorites, we were able to copy those in seamlessly. 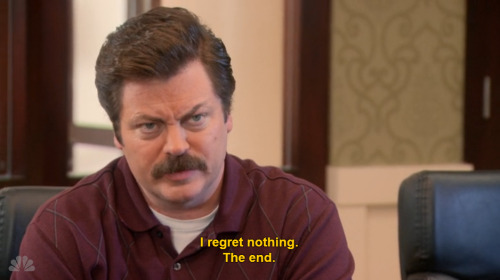 Oh, did I mention that all these phone calls and emails didn't cost me a dime? And no, I had purchased no extended warranty or service plan, and this was for a unit that was 4 years old and cost less than $200. Pretty good deal, I'd say. As an aside, I learned something new about these units: mine has a built-in 2MB "hard drive" that currently holds a map of the US, Canada and Mexico. At some point, however, this map will become too large for my unit's on-board memory. What then? Well, the folks at TomTom have that figured out, as well: they'll break the map into "zones;" one just loads whatever piece is needed and heads on out. And newer models come with a micro-sd slot to provide virtually unlimited memory, obviating the need for zones at all. And a special Thank You! to Amol P. and Raj R. for their help, patience and sense of humor. ■ The good news (such as it is) is that just shy of 2 million suckers Americans have signed up for ObamaPlans so far during this year's Open Enrollment season. The bad news is that this represents less than 15% of the expected number of sign-ups, and even then, most of these are simply re-enrollments, not "new blood." "Most renewals are on autopilot, creating the risk of 'rate shock' when re-upped Americans get their bills in January"
"A Seattle baby is home in time for Christmas after local doctors bet on a last-chance, once-discarded treatment that uses liquid, not air, to inflate the collapsed lungs of fragile newborns." Seems that little Tatiana Saiaana had inhaled some of the meconium, resulting in an unusual but not unheard-of condition called Meconium Aspiration. This can lead to severe breathing problems. In Tatiana's case, doc's were able to come up with an out-of-the-box solution, and she seems to be on the mend. ■ FoIB Holly R alerts us to some disquieting news that's affecting not-for-profit hospitals that - get this - want to be paid for services rendered. In the event, the rocket surgeons at the IRS plan to impose strict new rules that seek to prevent these providers from actively collecting payments from these they serve. I'm sure this will have no affect on the ability of those most vulnerable among us to access vital health care services. First up, the witty (and sometimes whacky) Bob Wilson, who hosts the eponymous From Bob’s Cluttered Desk. Always fun, always insightful, never dull. Next comes my very good friend Julie Ferguson, co-blogger at Workers Comp Insider. Julie blogs constantly, and (along with Joe Paduda) founded the bi-weekly Health Wonk Review (which she still coordinates). She's a gracious, knowledgeable expert with a ready word of encouragement. 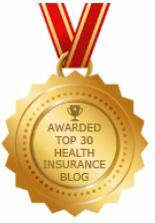 And speaking of Joe Paduda, his Managed Care Matters blog pre-dates IB by about 3 months, and I'm pretty sure we've included him on our blogroll from the git-go. Joe's got the inside track on health care policy, and writes from the heart. Mazel tov to three hardworking bloggers that are making a difference. As Bob reported last week, "CoOportunity Health, a fledgling Iowa health-insurance company ... has been taken over by by state regulators and could soon go under." 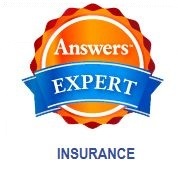 "In our coverage area, CoOportunity was the only SHOP provider ... This makes life complicated for small businesses that don’t currently have “grandfathered” coverage"
Since most probably don't, there's bound to be some broken hearts (and bank accounts). Joe's included a helpful round-up of related posts from around the 'sphere. Deck chairs. 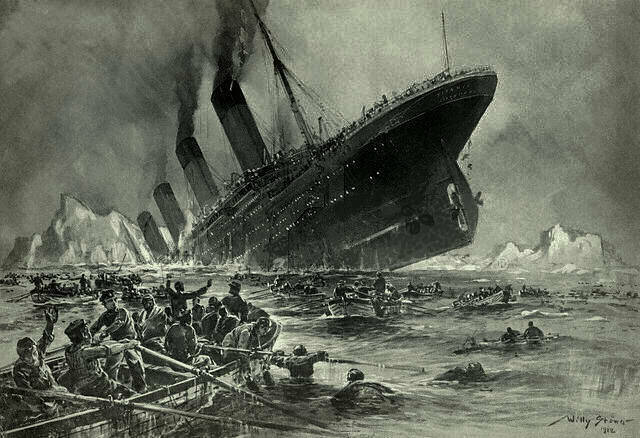 Unsinkable ship. Some assembly required. So here's an interesting case of deja vu. Years ago, we reported on the efforts of Minnesota Blue Cross to standardize the way benefits are described, making it easier to compare plans and understand one's coverage. 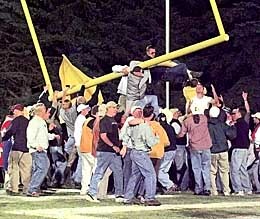 At the time, this was considered cutting edge. "Federal agencies want to change the standard "nutrition label for health plans" in a way that could make it more appealing for young, healthy insurance buyers." Aside from the obvious similarities, I find it amusing that anyone thinks that young people really find anything about health insurance "appealing." It may be "necessary," or even "helpful," but appealing? Please. Do Ms Burntwell and her minions really believe that lack of "scenarios" is what's behind the abysmal sign-up numbers we're seeing? In fact, almost all of the enrollments are simply mindless, zero effort re-enrollments. One wonders why. symbolize death, yet Christmas is about celebrating the birth of Jesus the Christ. And why celebrate on the 25th of December? How does all this tie together? The story of the Christmas wreath is a winding path of traditions including many pagan practices such as a wreath and yule log. Christmas also has roots in Judaism although in a much more subtle way. Hannukah is sometimes referred to (incorrectly) as Jewish Christmas. The proximity of Hannukah and Christmas celebrations can be confusing to people of both faiths. Some Jewish families will include in their Hannukah celebration the swapping gifts in the Christmas "tradition". Christians celebrate the birth of Christ on December 25th. We swap gifts in recognition of the wise men that sought out the Christ child and came bearing gifts. In 167BC Antiochus Epiphanes entered Jerusalem and ransacked the Temple. Over a three day period some 40,000 women and children were killed and another 40,000 sold into slavery. In order to further break the spirit of the Jews, Antiochus descrated the Temple by sacrificing a pig on the altar on the 25th of the Jewish month Kislev. A corresponding date on the Julian calendar would be the 25th of December. Years later in a revolt led by Judas Maccabaeus the Jewish people retook the city and the Temple was reconsecrated for holy worship. The re-dedication of the Temple took place on the 25th of Kislev. Centuries later Christians adopted December 25th as the day to celebrate the birth of Christ. Just as the rebirth of the Temple is celebrated during Hannukah, so is the birth of Yahshua (Jesus) the Christ during December. A wreath is a continuous circle with no beginning and no end. Wreaths were used as a way to celebrate the end of winter and the coming of spring which brings new life. 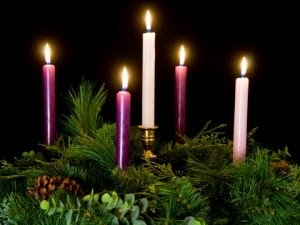 Christians will often place an Advent wreath on a table consisting of 3 red candles, one pink candle and a white candle in the center. Beginning on the 4th Sunday before Christmas a candle is lit and accompanied by a prayer and scripture reading. For the next 3 Sundays successive candles are lit in anticipation of the coming of the Christ child. The pink candle, known as the Mary candle, is the last one lit before Christmas. On Christmas morning the remaining white candle, Christ candle, is lit celebrating the birth of Christ. The use of holly in forming the wreaths also has meaning. Green holly leaves represent the continuation of life during the cold winter months as well as the belief in eternal life through Christ. Red holly berries are symbolic of the blood that Christ shed for our sins. The sacrifice of Christ also has ties to Judaism whereby a lamb was often used as a sacrifice to God. Death and rebirth. Beginning and end. Judaism and Christianity. All brought together in the Advent wreath. "The Swan song is a metaphorical phrase for a final gesture, effort, or performance given just before death or retirement." "The purpose of the C of R is to offer insights into the world of risk management; generally, this will be insurance-related, but that’s not a requirement. Our goal is to help folks understand what risk is, and how to manage it. It's about business and finance, of course, but it's also about risks in our everyday lives and personal relationships." And of course, rotating hosts each edition helped to spread the load, and for those who stood up I am eternally grateful. It's been a great 8+ years. I'm going to lead off with David Williams and Julie Ferguson, because their blogs were among the select group included in the Cav's debut edition. This week, David writes about the challenges facing the FDA as it assesses - and attempts to minimize - cardiac risks in the evaluation of new meds. Julie Ferguson (whose co-blogger John Coppelman also graced our first Cav) has a very clever entry: a carnival-within-a-carnival. This one's actually a great two-fer: it's got a jolly, red-suited big-guy (Merry Christmas!!) and the most recent edition of the Health Wonk Review (a sort of sister-carnival to the CoR which Julie untiringly coordinates every other week). Another long-time participant and host, Nina Kallen, writes about a very special kind of insurance called business interruption coverage, which helps pay an employer's overhead after a loss. Her post deals with how the courts look at how that overhead is actually calculated. Jason Shafrin has been my favorite health care economist for as long as I can recall; he, too, has been a long-time participant and host. In this week's entry, he reinforces one of my all-time favorite memes (and one which we at InsureBlog have been expounding for many, many years): health insurance is NOT health care . Seems obvious, no? Well, it often isn't, and Jason does a great job of explaining why they shouldn't be conflated. And speaking of long-time contributors and hosts, Claire Wilkinson is the brains behind the Insurance Information Institute’s blog, and is a powerhouse of interesting insurance info (see what I did there?). This week's post on cyber risk is quite timely (and the folks at Sony should be following her blog). Another frequent participant is Rebecca Shafer, whose posts on worker's comp are always interesting and on-point. In her final Cav post, she writes about a new EEOC initiative regarding new interactive requirements that must be implemented from the day an employer knows there's a serious health issue. If you're an employer, don't miss this one. Talk about a "blast from the past:" Ironman (proprietor of the Political Calculations blog) pops in with his post on how O'Care's lack of transparency is costing us taxpayers a pretty penny, and the risk that not a few of the newly-insured may face come tax time. Bob Wilson also writes on Worker's Compensation issues, and this week's offering from his cluttered desk includes a visit from Cthulu. Okay, not really, but do try to get that image out of your head while you read his take on the tentacles of employer fraud in the WC arena. Louise Norris has been a terrific supporter of the Cav from its earliest days (as has her husband, Jay). This week, she's gone above and beyond to write a post specifically for this final edition: Open Enrollment has been much in the news, but the new auto-renewal rules have been mostly under the radar. Louise examines the risks of not paying attention. Occasional contributor Jason Fisher pops in this week with his informative post on some ways that diabetics (and their agents) can help themselves when applying for life insurance. And, finally, our own final Cav contribution laments the death of Vermont's brief foray into Single-Payer health care (really!). Thanks to all the folks who contributed to this final Cavalcade of Risk, and my heartfelt gratitude to all of those along the way who've participated and hosted. Be well! "New rules being proposed by the Centers for Medicare and Medicaid Services will give that agency enormous new powers ... the government will choose and force you to pay for a policy that they think works best for you." At issue is the fact that many (most?) folks who use the Exchange are going solo, or relying on the "expertise" and/or good will of the anonymous folks on the other end of the phone line. So when renewal time rolls around, they may (or more likely, may not) pay any attention to the notice from the insurance carrier, and be "renewed" into a completely different plan. For one thing, this has been SOP in the health insurance market for as long as I can remember: plans come and go, and carriers transition their insureds to what they they consider the closest alternative. If the client doesn't like it, they're free to choose a different plan, or even - gasp! - shop around for another carrier altogether. Recently, one of my clients, who had a Medical Mutual of Ohio "Gold" plan learned that it was no longer being offered, and he was being transitioned to a "Silver' level policy (MMO has discontinued all of their Gold plans in this area, no doubt due to horrendous claims experience). We took the opportunity to shop around and compare prices and plans, and he was able to find a new one that fit his needs and budget. And notice, this wasn't an Exchange-based plan at all, and yet the experience matches what's being anticipated on it. There's just no there, there. "Doctors in France will have the right to put terminally-ill patients into a deep sleep until they die, under plans unveiled [recently]that reignited a national debate on euthanasia." Of course, when the government pays for your healthcare (as they do in France), it gets to call the shots (so to speak). And it also gets to say when said shots stop. Such is the nature of a socialized health care scheme: who pays the piper calls the tune. Of further course, killing off your patients is a great way to cut costs and, of further course, there's no recidivism. So, win-win. Well, except for the patient. We'll be hosting next week's Swan Song edition right here at IB. After 8 1/2 years, the Cavalcade of Risk is folding its tent, so don't miss your last opportunity to send in a post. Entries are due by Monday (the 22nd). "Vermont Gov. Peter Shumlin on Wednesday dropped his plan to enact a single-payer health care system in his state"
This will come as no surprise to regular IB readers, since we've already seen how Vermont has had major issues just running its own Exchange. Selling health insurance is child's play, though, compared to actually delivering health care, and Governor Shumlin (D-VT) - to his credit - acknowledged that, given the current state of the Obamaconomy, "[t]his is not the right time” for enacting single payer ... citing the big tax increases that would be required to pay for it." What was perhaps even more interesting is that the plan wasn't even "true" Single Payer, since ERISA (self-funded) plans would have been given a pass. 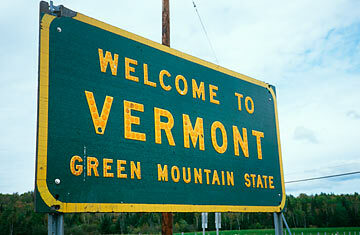 So if Single Payer can't fly in a deep blue state like Vermont, one wonders where can it? UPDATE: Actually, this saddens me. Why? Well, we've long supported the idea of 58 state laboratories, each one trying out new (or old) ideas to see what works, and what doesn't. Would have been quite interesting to see if Single Payer would work in Vermont (95.2% white, median income $54,000), and then whether or not that experience was transferable to other less pale, less wealthy states. Alas, 'tis not to be. Julie Ferguson presents (SWIDT?) 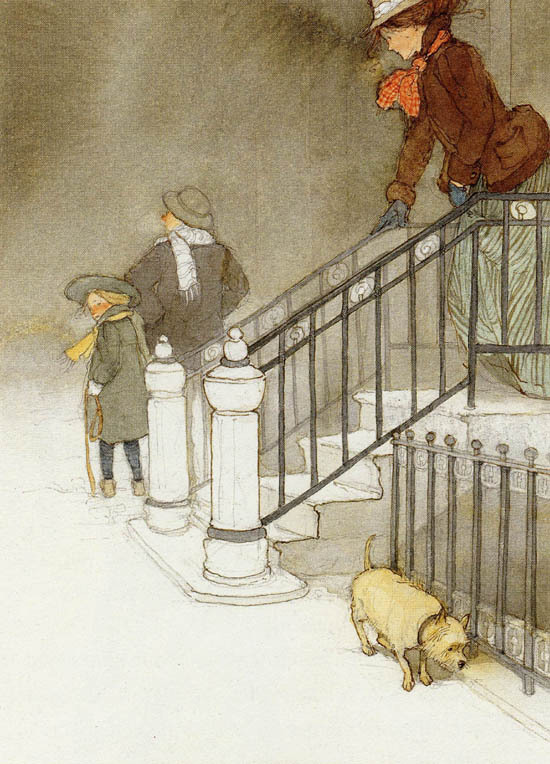 a holiday-themed round-up of wonky posts, all ready to be unwrapped and savored. So pull up your easy chair, pull on your cardigan and reading specs, and enjoy. President Barack Obama declared the end of America's 'outdated approach' to Cuba Wednesday, announcing the re-establishment of diplomatic relations as well as economic and travel ties with the communist island – a historic shift in U.S. policy that aims to bring an end to a half-century of Cold War enmity. As Obama spoke, Cuban President Raul Castro was addressing his own nation from Havana. Maybe now you get that Crown Vic Skyliner you have always wanted, Cuban cigars and top quality free health care. Tonight, we begin the 8-day long celebration of The Festival of Lights, Chanukkah. As everyone knows, this holiday commemorates the time, in ages past, that a candle with but one day's oil burned for over a week. Except, it doesn't and it didn't. "The Apocrypha's texts make it clear that the battle against Hellenization was in fact a kulturkampf among the Jews themselves ... Armed Hasmonean priests and their comrades from the rural town ofModi'in attacked urban Jews, priests and laity alike, who supported Greek reform, like the gymnasium and new rules for governing commerce ... So the miracle-of-the-oil celebration of Hanukkah that the rabbis later invented covers up a blood-soaked struggle that pitted Jew against Jew"
And they weren't fighting over latkes. Oh, and Chag Chanukah Sameyach! At 1:51 this afternoon, an email arrived from CoveredCA keeping enrollment open until Midnight, December 21. 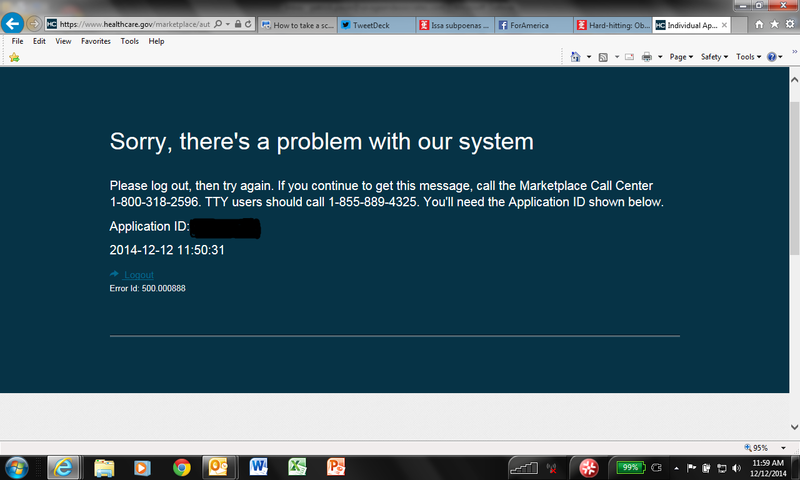 I'm not really surprised, given the number of error messages I saw while trying to enroll people. URGENT! You Have Extra Time to Help Consumers Complete Enrollment for January 1st! Given the high volume of Californians interested in enrolling in health coverage, we’re pleased to announce that Covered California has decided to give our service partners additional time to help consumers get across the finish line and complete enrollment. Service partners will have until midnight on Sunday, December 21, 2014 to assist consumers with enrollment. This applies to both new and renewing consumers enrolling for coverage effective January 1, 2015. Please note that while the Agent Service Center will now be open this Sunday, Dec. 21st (see below for hours), the Covered California Service Center for consumers will be closed this Sunday. You are encouraged to assist consumers with completing their applications as early this week as possible to ensure you receive the assistance you may need from our service center representatives. While you and your consumers are given the extra time, we would appreciate your help in communicating expectations: completing enrollment after December 15th may delay invoices and proof of enrollment from the health plan the consumer has chosen. We encourage all consumers to make a binder payment when possible to facilitate faster enrollment in their chosen plan. We will be providing further information about payment deadlines as soon as possible. In order to accommodate this change within the system, we will be taking the online system down starting midnight tonight until approximately 7 a.m. tomorrow, Tuesday, Dec. 16. If you should need immediate assistance, please call the Agent Service Center at (877) 453-9198. This is the most effective way to reach a service center representative for an urgent need related to enrollment. If you should receive a busy signal when calling, please hang up and try again. I can only imagine what the faces look like inside the various carrier's service departments. a gift to our colored health insurance company. 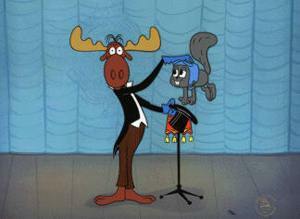 Our Congress critters voted on a 1600 page spending bill without ever reading it. Fortunately there are others more diligent that give us some insight into what Congress did to us. Tucked away near the end of the 1,600-page spending bill is a long-awaited technical fix to the health overhaul law — one that benefits Blue Cross and Blue Shield insurers and has been in the works since the bill was passed in 2010. The backstory: Many of the nonprofit ‘Blue’ health plans receive tax breaks on their expenses and reserves as part of a 1980s arrangement in which they lost their broader tax-exempt status. Under the 2010 health law, Blue plans had to spend at least 85% of their revenue from insurance premiums on medical claims to continue to qualify for the breaks. Blue can shift some of their overhead away from the 85% MLR restriction and categorize it as claim dollars. This free's up administrative overhead for more useful items like salaries and bonuses (among other things). But here comes the other shoe. 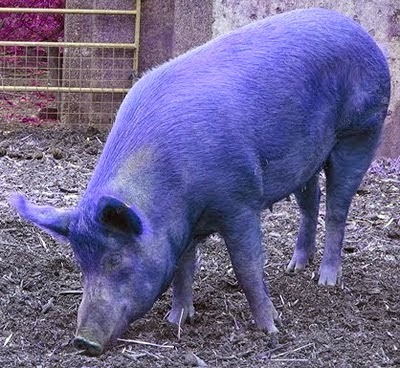 This bill, including Blue pork, was voted on by people who were fired by their constituents and will be sent home packing in a few days. The will of the taxpayer was circumvented again. Have yourself a Merry (Blue) Christmas. That's right, free money, as in ObamaTax subsidies for the poorest richest among us. Hark, they passed the bill so we could learn what's in it, and boy, it's just good news all around for those with a big nest egg and no real income. What the heck are you babbling on about, Henry? As I mentioned the other day, I tend to get a number of referrals from other agents. Recently, one such referral called for an appointment, and we got together to consider her family's options. This delightful and engaging lady was recently downsized from a prestigious (and lucrative) position with a Fortune 500 company, with a generous severance package and some major bucks in the bank. As a result of the way that they're calculated, we quickly discovered that her family was eligible for a $1,000+ per month subsidy, bringing the family's net cost (for a fairly decent plan) to about $250 a month. They're very nice, gracious, warm people, and of course I don't begrudge them their free bucks - heck, they should be thanking Nancy, Harry and Barry - but are they really the kind of people we should be subsidizing? "The Massachusetts Medicaid program spent $35 million on questionable claims for health care provided to low-income immigrants"
But Henry, you may object, that's Medicaid, not the ObamaTax. Unfortunately, the two will forever be conflated, as The Bay State expanded Medicaid under the ObamaTax umbrella. The review flagged over a quarter million questionable claims, and what's worse, it appears that most of the folks filing them are here in the US illegally. So while you take a last-minute stab at signing up for an ObamaPlan (Phase of one Open Enrollment v2.0 ends today), rejoice in the fact that folks here illegally get their healthcare for free, without having to deal with that pesky 404Care.gov site. Long-time readers may recall the sticker I've mentioned over the years, adhered to my phone, reminding me about how to conduct myself. Yesterday, I was privileged to experience a wonderful payoff. Many agents have opted to take a pass on the rigorous and (unnecessarily) difficult process of becoming certified to sell Exchange-based health insurance, and as a result, I've been getting more referrals than ever (my doc told me I wasn't getting enough stress, recommended selling more health insurance). Yesterday afternoon, I received a call from a young lady whose agent (a friend and colleague) had recommended that she contact me for help. Seems her current (non-grandfathered) plan was getting too expensive, and she 's pretty sure she qualifies for a subsidy. So she went online to do some shopping, and inadvertently ended up at what I'll call a "lead-farm." This kind of site looks like the 404Care.gov one, but instead of enrolling in a plan, one is basically giving out contact info to hundreds of agents who pay the site's proprietors for access to it. As a result, she's already received hundred of calls and emails, and become so confused and upset that she can't sleep. I began by asking her some questions, and confirmed that she had not, in fact, actually been to the official gummint site. I further determined that her existing plan is with a reputable carrier, and is still affordable (at least for the nonce). She also mentioned that she was due to go out of town in the next few days, meaning that the looming December 15th cut-off for a January effective date was adding to her stress. So I asked her a question: "What's the absolute worst thing if you simply went for a February 1 start date, instead?" Silence. And then a sigh of relief. "I can do that?" she asked. Yup: and then I told her that the only real downside was paying an extra month of the new, higher premium on her old plan, and missing out on a month's subsidy for the new. She agreed that her sanity and peace of mind was worth far more than the few hundred dollars at stake here. and then she thanked me profusely, telling me that she could already feel the stress draining away, and actually looking forward to her road trip. We agreed to re-connect when she gets back next week. Sometimes we forget, in the press of analyzing and commenting on the ObamaTax train-wreck, that these are real people, whose real lives are impacted, and it's such a great feeling to be able to help at least one person gain some relief from the attendant anxiety. I, for one, am grateful for the opportunity to have done so. The inestimable Bob Wilson presents this week's rockin' and rhymin' risky roundup. Clever and informative - that's what I call win-win. This past summer, we learned that "... the Connect for Health Colorado Board of Directors voted for a $13 million increase in taxes for those insured under the Colorado health exchange to help the exchange make up for a budget deficit." "A devastating state audit released Monday found a rash of problems with the Colorado health-care exchange’s handling of $32 million in taxpayer funds as well as possible violations of federal law." Keep in mind, the Colorado Exchange is set to receive almost $180 million in taxpayer funds from all 58 states. But it's rife with (alleged) corruption, cost overruns, bookkeeping errors galore, and more. In short, a perfect microcosm of the ObamaTax itself. Kind of fitting, one supposes. And it's made even more interesting by the #GruberGate hearings going on now in DC: if (and that's a big if) the Halbig/King cases stymie the Federal Exchange subsidies, folks in state-run exchanges (like Colorado) would still be entitled to theirs. Ka-ching! A colleague recently called me for some advice. Seems one of his clients (a small dental practice) is considering deleting their group plan and offering to pay for (or at least subsidize) employees' individual health plans. He wanted to know if that would fly, legal-wise. The short answer, of course, was "no," but given that we're in the midst of Open Enrollment season [Reminder: only 6 days left if you want a January 1 effective date - the cut-off is next Monday], it may be helpful to review the issues. First, there's nothing immoral, illegal or fattening about deleting a group plan. In fact, that may be the smartest, most cost-effective move an employer could make (or not, YMMV). But if you own (or advise) a small business, you need to know that employers can't use a Health Reimbursement (or any other similar) Arrangement to allow employees to pay for individual plan premiums pre-tax. You can, of course, give them a raise to cover some (or all) of the premium, but remember that this will be taxable income for them [ed: insurance industry old-timers might be thinking about gross-up bonuses about now]. And, of further course, some of these employees may be eligible for a subsidy/cost-sharing on the 404Care.gov site. It's been a while since we've addressed the issue of genetic screening; last time out we discussed the ethical issues of a young woman who elected a double-mastectomy on the basis of a genetic predisposition towards breast cancer. "If you agree to participate in a genome research study, what happens if the researchers find a risky gene in your sequence? Do they have an obligation to tell you? What if you don't want to know? And what about your family members, who might share that problematic gene with you? Do they have a right to know?" Whew, a lot of questions, and each one potentially fraught with peril. We've previously addressed the first three, but the last two - do family members who may share the trait have a right to know? - is unexplored territory here. On the one hand, it's family. On the other, they didn't pay for the testing and, besides, this is very personal information indeed. Do family members have a right to know the results of your genetic testing? And feel free to leave additional thoughts in the comments here. 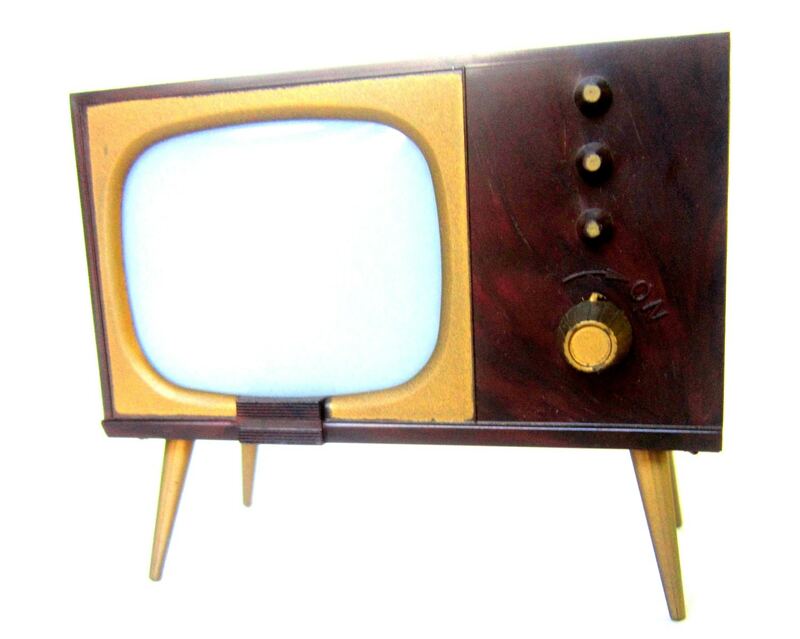 Bob Wilson hosts next week's edition. Entries are due by Monday (the 8th). "Spending on healthcare grew in 2013 at the lowest rate ever recorded." Which, while nice, rather misses the point: growing slower ≠ decreasing. Shame on you, Mr Reid. Alt title: "We could tell you, but then we'd have to kill you." "[O]fficials at the Treasury Inspector General for Tax Administration ... are giving members of the public just enough information about a TIGTA review of IRS security testing to suggest that there might be cause for concern." 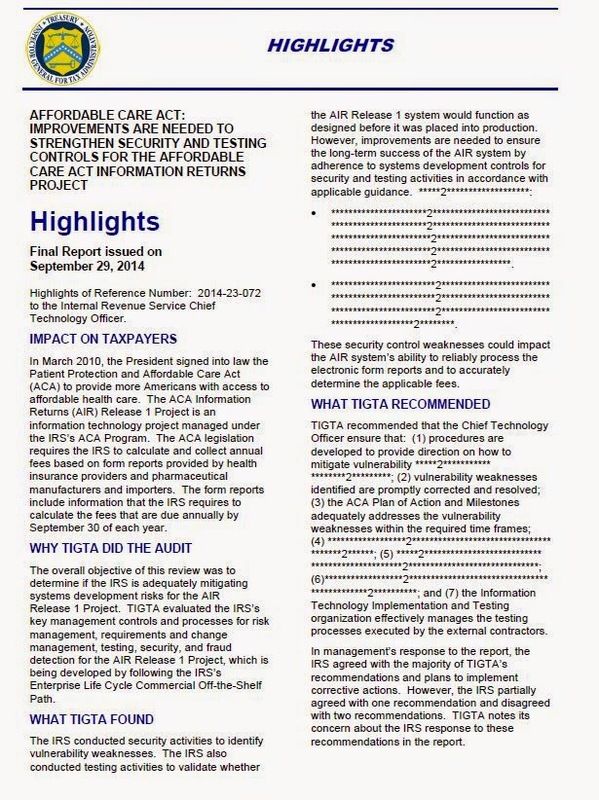 "TIGTA officials have put the results of their review in a heavily redacted report." And that's just the highlights. Even the Table of Contents page is edited like that, and it only gets worse. One wonders, not unreasonably, what the folks at HHS and their partners are so concerned about letting us know. After all, their own resident guru thinks we're too stupid to understand it, anyway. "Our concern is that the expected results should be accurate and complete in order for the testers to fully understand what they are testing and for the testers to be able to adequately compare the actual results to the expected results." Co-blogger Pat is once again featured at The Federalist, with his latest take on why rate increases are most definitely built-in to O'Care. This just in from the geniuses at the GAO. As a result of Obamacare, Blue Cross expanded their market share in the majority of states at the expense of other carriers. 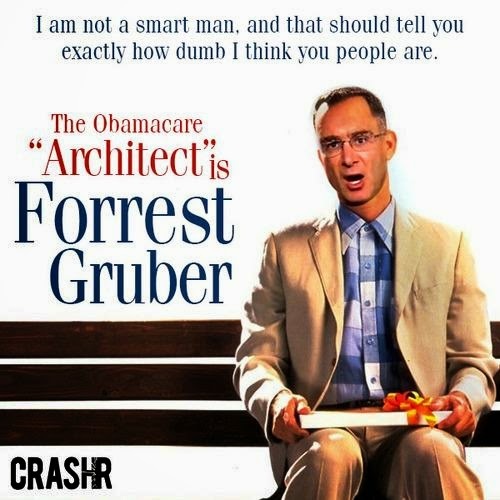 As we've noted for a while, Herr Dr J Gruber has managed to talk himself into quite a corner. While making big coin (for apparently small work) designing and implementing the ObamaTax, casually demeaning the poor, feckless congresscritters who voted for it (that we might then learn what's in it), and then doubling down on both, he's managed to raise quite a few hackles. Presented in eight parts (from Stupid Voters through What the Future Holds), you'll be entertained and enraged (likely in equal measure). It's the Don't Miss hit of the season! The ACA promised us $2500 per family savings and better benefits. The reality is we are going to pay thousands of dollars more for our care and thousands of dollars more for our premiums. 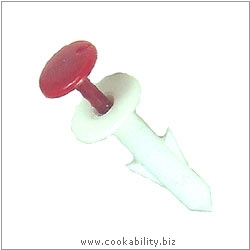 This is because of obscure provisions called the Applicable Percentage Table and the Annual Limitation on Cost Sharing. You’ve almost certainly never heard of these, yet both can deprive you of care and take a lot of money from your wallet. The ACA sets limits on cost sharing to protect individuals from excessive out-of-pocket expenses. One of the concerns of ACA supporters revolved around high out-of-pocket limits for consumers. This amount, set at $6350 per person in 2014, was one of the largest objections individuals had when deciding what plan to purchase. Even with a subsidized premium, having to potentially come up with such a large percentage of their income to cover claims made coverage and care unaffordable. The Annual Limitation on Cost Sharing requires that these high out-of-pocket limits be updated annually. 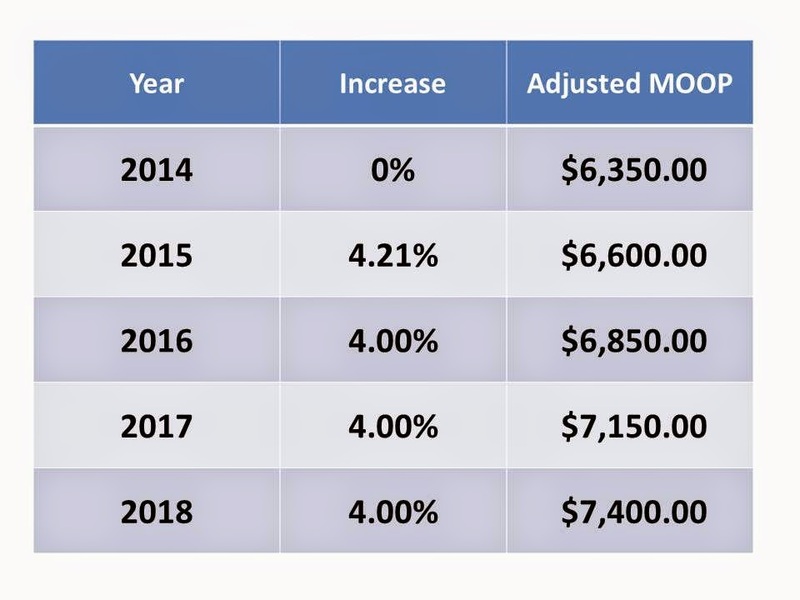 The formula for determining the new Maximum Out-of Pocket (MOOP) is based on the increase in average premiums per person for health insurance coverage. That means if premiums increase annually the MOOP will go up. For 2015 the premium adjustment percentage is 4.21% which increases how much you spend on medical care to $6600. That’s $250 more out of your pocket. According to the September 2014 HHS Rate Review Annual Report small group health insurance premiums have increased substantially since 2008. As long as it continues we will see a higher MOOP every year. Worse yet, the growth rate of insurance premiums are still rising faster than average income and inflation. The result is clear: consumers will have worse insurance every year. The chart below shows what will happen to the MOOP at a (lower than average) 4% premium growth rate. Under this scenario by 2018 an Obamacare-compliant plan will have an out-of-pocket maximum that is $1,000 more than it is today. Worse yet, the plans that are currently considered Silver plans will now be Gold plans. This is because of the "Actuarial Value Drift" my friend Bob Graboyes pointed out in this video and article. The percentage of your income you must pay for insurance will likely increase every year, too. When the rate of insurance premiums increases more than the rate of incomes another ACA provision is triggered. This is the Applicable Percentage of Income adjustment. In 2014 a family of four earning $59,625 is paying $4,800 for the baseline plan. Because of this adjustment, by 2019 this family will likely pay $5,725 for the new baseline plan. In six years this family will be paying $1,000 more for insurance premiums per year. 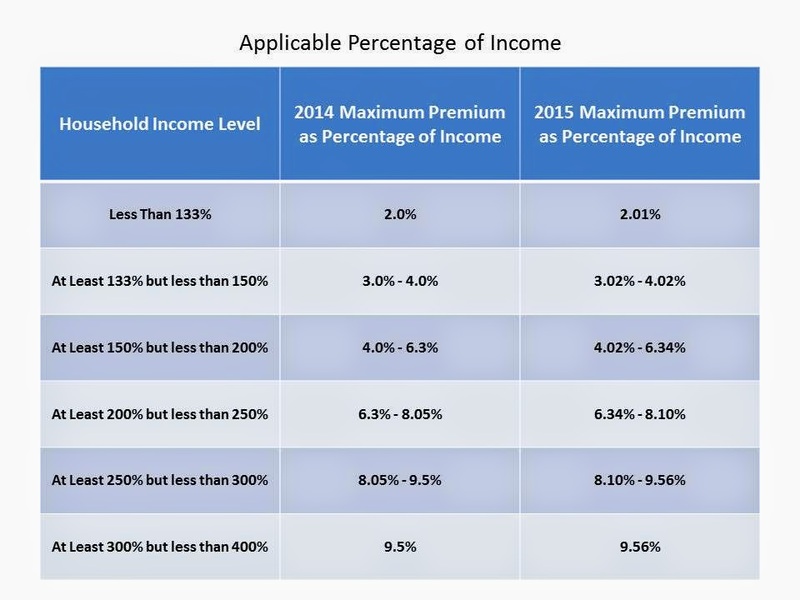 The Congressional Budget Office explained in May of 2011 how these indexing provisions work, and recently CMS released the chart below showing how people will pay a greater percentage of their income for insurance next year. These provisions bring to mind the subprime loan catastrophe that happened not long ago in the mortgage world. Consumers were sold low-interest loans and given high mortgage limits. Lenders didn't explain that the interest rates and payments would increase over time. The ACA's Applicable Percentage Table and Annual Limitation on Cost Sharing provisions work the same way. Over time you will pay more and get less. It's time these ACA shenanigans were brought to the forefront of the discussion. Because no one can afford to pay more for insurance that keeps getting worse.